With open discussions about mental health and mental illness becoming much more prominent and accepted in contemporary culture, it is interesting to track the history of mental health care and responses to mental illness in Canada. 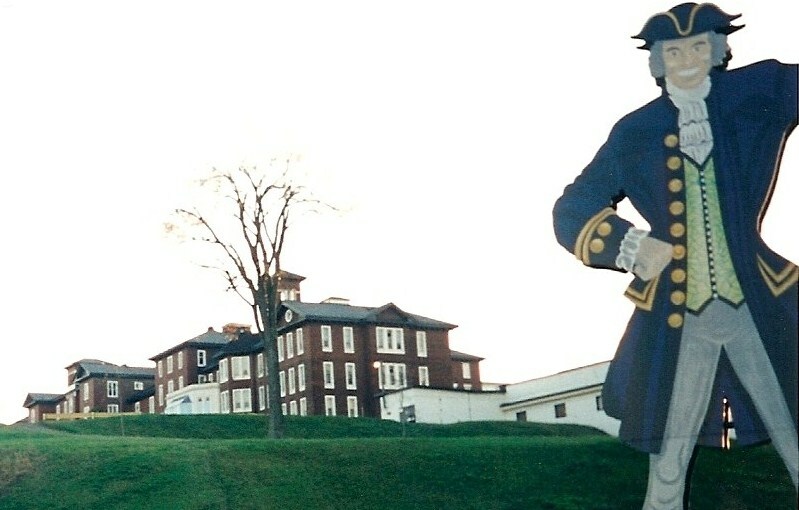 In fact, for New Brunswickers, it can be surprising to discover that the roots of Canada’s mental health care can actually be found in our own back yard: loyalist Saint John County. This history can be traced back to the year 1835 when what was called the “Provincial Lunatic Asylum” was constructed in Saint John—making it the first mental health facility to be built in British North America. In December of 1835, the Committee appointed to prepare the draft of a Bill and Petition to the Legislature for establishing a Provincial Lunatic Asylum appeared at the General Quarter Sessions to have said draft approved. As such, it was ordered that this Bill be presented to the Legislative Council. The first building that was constructed (and that is referred to in The Loyalist Collection) was wooden; it was built at the corner of Wentworth and Leinster streets in "uptown" Saint John. In 1835, it was determined that this building was meant to be an asylum which encouraged more humane methods of dealing with individuals with mental illness—then deemed the “insane.” This building served as a temporary asylum until the erection of a more permanent establishment in 1848. The first director of Saint John’s Lunatic Asylum was Dr. George Peters who served from 1835 – 1848. As can be seen above, Dr. Peters appears as early as March of 1832 in the Court Records appealing for proper mental health care in Saint John; the conditions that men and women “invalids” live in are described as “filthy” and “repugnant.” As David Goss says in his book 150 Years of Caring: The Continuing History of Canada’s Oldest Mental Health Facility, both Peters and another man, George Matthew, were instrumental in convincing the city of Saint John to convert part of the Cholera Hospital designated as an asylum for “lunatics.” Peters and Matthew clearly presented a compelling argument to the Court, as the Hospital began accommodating to “lunatics” on 14 November 1835. Because the building discussed in the Court Records was only a temporary solution, a new permanent building was erected in Lancaster, and the first 90 patients moved into the facility in December of 1848. This building underwent multiple renovations and name changes, and it served as a mental health facility until 1998 when a new psychiatric hospital was built at South Bay. Contemporarily, this building is most commonly known as Centracare—the name that it was given in 1985. It is important to acknowledge that while these mental health facilities provided space for those suffering from mental illness, this does not mean that society and the facilities themselves were free from stigma. Individuals with mental illness were and still can be unfairly treated and neglected by both society and the health care system. 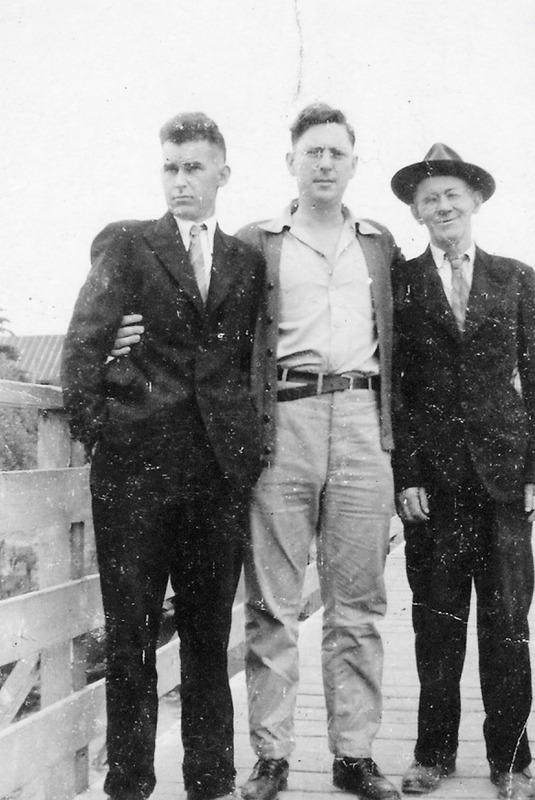 One of these people was my great uncle Warren Algernon Langmaid (1922-1994), who lived in what was eventually known as Centracare from the early 1950s until his death in 1994 at the age of 72. Warren suffered from irreversible brain damage due to a lack of oxygen after being buried alive in a gravel pit accident in the late 1930s. During his time spent in Centracare, Warren was rarely visited due to societal stigma surrounding mental illnesses and intellectual disabilities. His funeral service was performed in the Centracare chapel. By taking this extensive history of mental health care into account, we can not only acknowledge our past wrongdoings, but we can also create a more inclusive and fair contemporary environment for individuals with mental illness. Note: All writing samples featured in this post are drawn from The Loyalist Collection. Additional Source: David Goss, 150 Years of Caring: The Continuing History of Canada’s Oldest Mental Health Facility, (Saint John, N.B: MindCare), 1998. Bethany Langmaid is a student assistant for the Microforms Unit at the Harriet Irving Library. She is currently in her fourth year of her Bachelor of Arts degree at UNBF in the English Honours Programme.